Those new to the Sinclair Method often scour the internet to find as much information as they can about this groundbreaking treatment for alcohol use disorder. 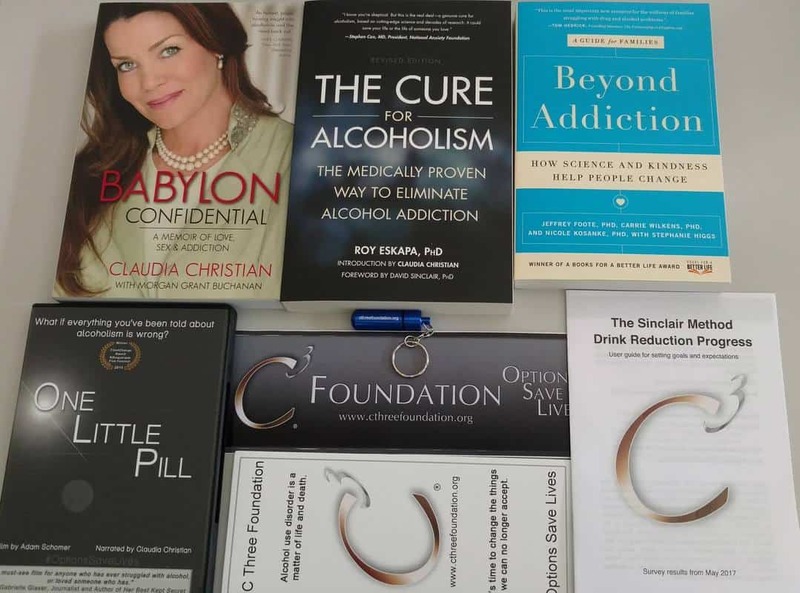 For the first time, we are making this task easier by offering a unique resource library complete with Claudia's personal memoir, which was the catalyst that led to the creation of the C Three Foundation; the seminal book by Roy Eskapa, PhD about the treatment that has helped countless numbers of people navigate an often misunderstood, medically and scientifically tested recovery plan; and a book that helps loved ones better understand how to take care of themselves while they are supporting someone in recovery. We have combined these resources with our hugely popular medication adherence tool and our award-winning documentary film. Rounding out this resource bundle are printed guides both for your personal reference and ones you can give directly to your own doctor. This resource bundle is currently available for purchase for $99 plus shipping and handling. Supplies are limited. Also included while supplies last is a C Three Foundation bumper sticker.